This activity maps Elie Wiesel’s journey as depicted in his memoir Night through the testimonies of Holocaust survivors who provide us with rich descriptions and an understanding of the time and places they experienced before and during the Holocaust. Students can complete this GeoStory activity in preparation for reading the memoir or as a culminating activity. 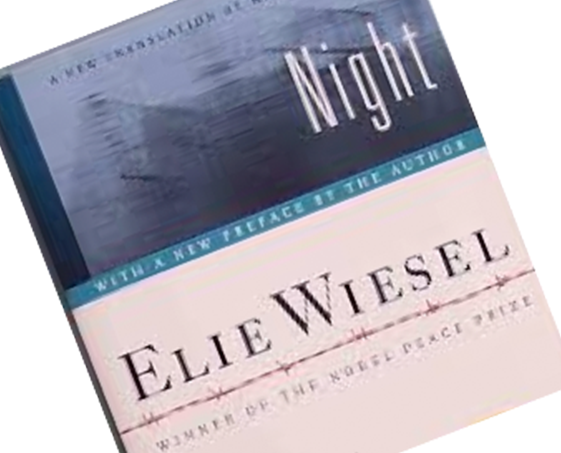 In this activity, students will represent one individual’s experience whose story parallels Elie Wiesel's journey in Night. Students will search for clips of testimony that depict prewar experiences in Sighet, Romania; deportation to Auschwitz-Birkenau, Büna and Buchenwald; and migration to the United States. Students will also be asked to represent these experiences with a map and timeline. Students will then reflect on how their GeoStory expands their understanding. Photo Credit: Drummkopf, Christo. Flickr, Yahoo, 28 Oct. 2009. www.flickr.com/photos/cdrummbks/4054054872. Photo was modified to feature top half.